Tobe Hooper’s “The Funhouse” gets a fine Blu-ray transfer from Arrow Video. Though some night scenes do appear too light – and believe be, I’m never one to normally comment on the visual presentation of a transfer, so you can be sure this must be something noticeable – but otherwise the digital viewing is above par. Hooper‘s film starts off with a humorous and (unusually for Hooper) exploitation-style opening which satirizes, while simultaneously commenting on, the Hitchcock homage of John Carpenter’s “Halloween”. This is extremely unusual, in fact, it’s the only occurrence I can bring to mind from Hooper‘s entire catalogue of directorial efforts where there is a conscientious comment on, never mind the satirizing of, another director’s work. But moving speedily past this, we are then definitely into more familiar Hooper territory. If anything defines his work as a filmmaker and storyteller, it’s the idea of a group of characters who venture into a proverbial – and here, a literal – carnival of horrors. We’ve seen Hooper‘s convention of this plot several times in his career, with The Texas Chain Saw Massacre, Eaten Alive, Poltergeist, and even Texas Chainsaw II. There are, in fact, others, but I’m sure the point has been made. And another validation to The Funhouse’s existence is exactly where it sits in Hooper‘s repertoire, very close to Poltergeist and obviously smack in between his visceral Cinéma vérité Texas Chain Saw / Eaten Alive and the far more overtly tongue-in-cheek Cannon films, Lifeforce, Invaders from Mars, and Texas Chainsaw II, which all get a few miles past the dividing line between humour and sheer cinematic lunacy. What’s especially nice about The Funhouse is that at this point in Hooper’s career he had a great handle on balancing a film’s humour with verisimilitude. A verisimilitude that he was able to retain for Spielberg’s Poltergeist, but which alluded him for the entire Cannon series of films that followed. As well, the obviousness of The Funhouse’s title (or to my expectations, at least) is amiably undermined by some genuinely quirky plot manoeuvres that were, as in now, continuously unfolding before my eyes. As if on a carnival ride itself, maybe? 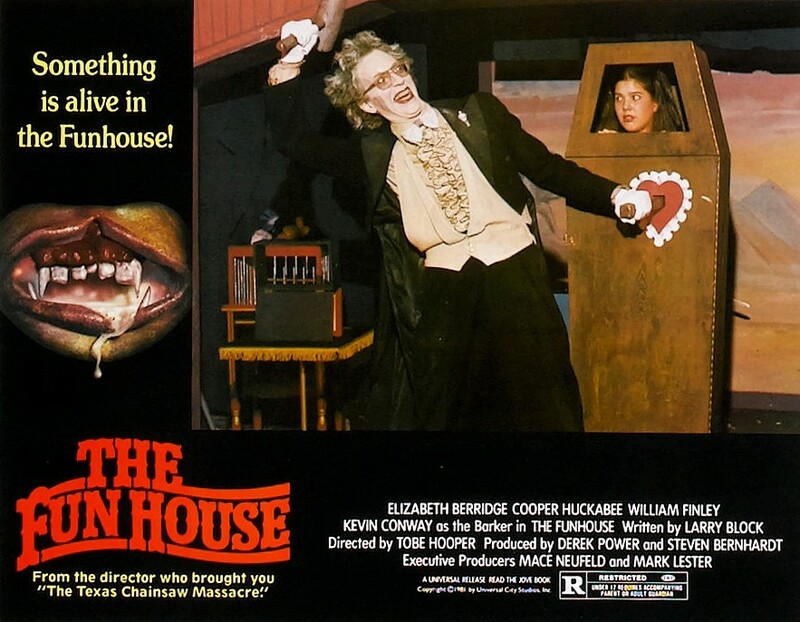 If I’m sounding like I’d never seen Tobe Hooper’s The Funhouse before, it’s because I haven’t. Sure, I’d seen a few pieces of it here and there on television and in the American horror cinema celebration “Terror in the Aisles” (circa 1984) , but other than that… Imagine my surprise, in the opening scene, at seeing starlet Elizabeth Berridge undress completely before the camera. That had certainly been censored for the Canadian television broadcast. Elizabeth is an actress (like so many others of that time and place) who would later get more work out of a television series – this one being The John Larroquette Show – co-starring, almost ironically, a leading actor who had provided the off-screen narration for Hooper‘s first feature film, The Texas Chain Saw Massacre. The Funhouse is a pretty intelligent and literal script with genuinely likeable characters, written by Larry Block, and of what else he might have written I know not. Though even with all of this positive raving of the script and film, it’s certainly not without its flaws. In fact, the last 20 minutes or so of The Funhouse becomes somewhat disengaging, to the point of becoming a little silly. The climax of the film has not the horror of The Texas Chain Saw Massacre, nor the lunacy of Texas Chainsaw II, nor the catharsis of Poltergeist nor the sheer spectacle of Lifeforce. Although I have to say this is not for lack of trying on any of these points, as you will no doubt see (or have seen).  And the ending is not completely without its merits, either, somewhat fitted into the realm of off-handed cynicism and a slightly deeper sinister aspect, which I can’t delve further into without giving away choice plot points. So obviously, the film in its entirety can’t easily be dismissed, not only for where it lies in Hooper‘s directorial career, but where it lies in the time-line of horror and its cinematic sister, the slasher/dead-teenager sub-genre. Arrow‘s release of The Funhouse gets a hearty recommendation from this retro-horror film fan. This entry was posted in Project Arrow, review, VdA. Bookmark the permalink.